Bev and Micks McMahons hotel has 4,6,8,10 bed dorms as well as Double rooms (private) available. Believe it or not Our prices don't change depending on the size of the dorm, ie a 4 bed dorm is the same price as an 8 bed dorm so if you book early we will do our best to get you into the size dorm you would like. La limpieza no existe, los baños, la cocina y el área común jamás están en condiciones. el wifi para usarlo en la zona del hostel hay que pagarlo, solo hay free wifi abajo en la zona del bar y no siempre funciona. 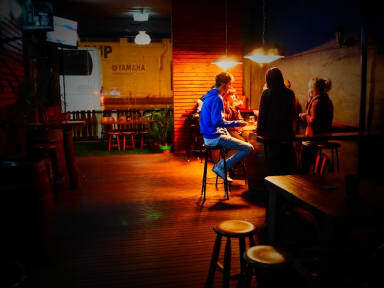 And the award for worst hostel in Australia goes toooo... bev and micks! 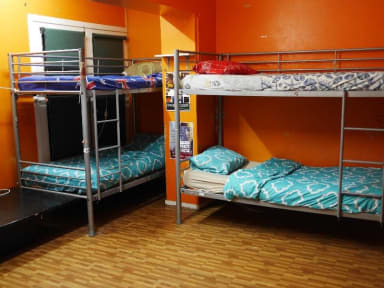 The rooms are hot (no fans or airco), hostel is dirty, kitchen is very lacking (as in no cutlery, bowls etc), noisy at night because the hostel is located on top of a bar and at a busy street and most of the time no staff around. Paid 26 a night to stay here, which is overpriced for what you get. Wouldn’t return here.